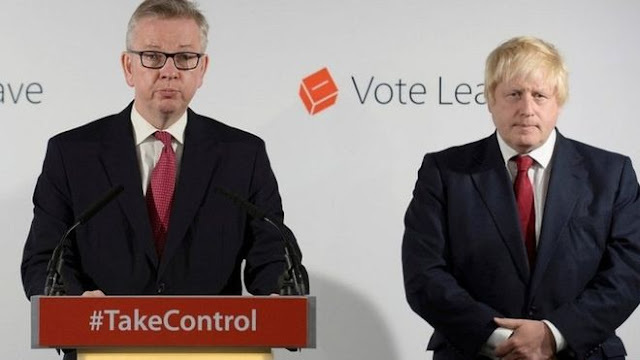 As we've stated for, oh about 2 years, today the Electoral Commission referred the Criminally Fraudulent Vote Leave Brexit Campaign to the Police over a Funding Fraud amounting to £675,00. Vote Leave has resisted our investigation from the start, including contesting our right as the statutory regulator to open the investigation. It has refused to cooperate, refused our requests to put forward a representative for interview, and forced us to use our legal powers to compel it to provide evidence. This of course comes not long after the 'unofficial' Campaign fronted by Ukip - Leave.EU - was also fined for it's illegality. Darren Grimes, a fashion student who became 'head' of a separate Brexit group called BeLeave – which received a £675,000 donation from Vote leave – has also been referred to the police. The money was used to pay data firm Aggregate IQ - part of Cambridge Analytica. This news makes the narrow referendum result looks dodgier than ever. It's validity is now in question.